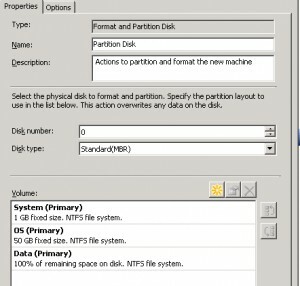 I searched myself crazy to get my Zero Touch Migration to Windows 7 with bitlocker on both drives working, therefore i’d like to share the steps with all of you. 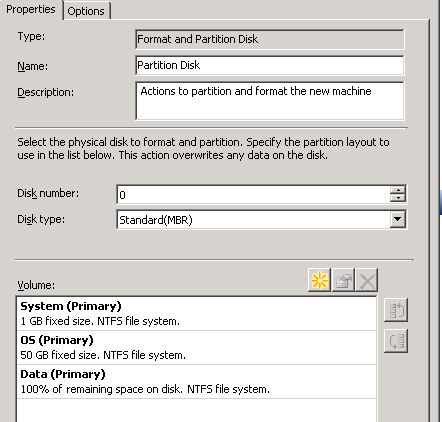 You need at least 2 partitions to enabel Bitlocker, 1 boot partition (this wil NOT be bitlocked) and 1 for the OS. 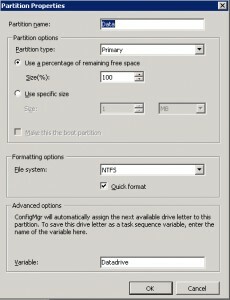 I created a 3rd partition for my Data. 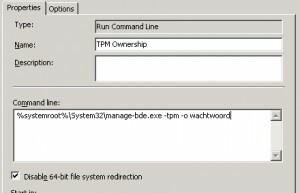 Before you can enable Bitlocker you need to take ownership of the TPM Chip, if the TPM Ownership is already set you can disable this step, if you don’t know you can reset the TPM Chip from the BIOS. 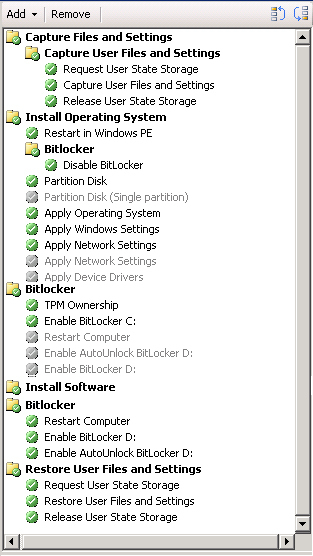 To complete the Enable Bitlocker step you need to reboot the computer, as you can see in my Task Sequence I install all Software first, because after the reboot there will be alot of IO to encrypt the partition. 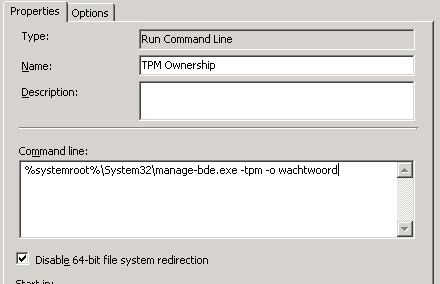 In this example I used a specific recoverypassword so I can always unlock a Data partition if the OS fails to unlock it, if you only use the -recoverypassword option it will generate a key automatically and you can review and save this at a later time. 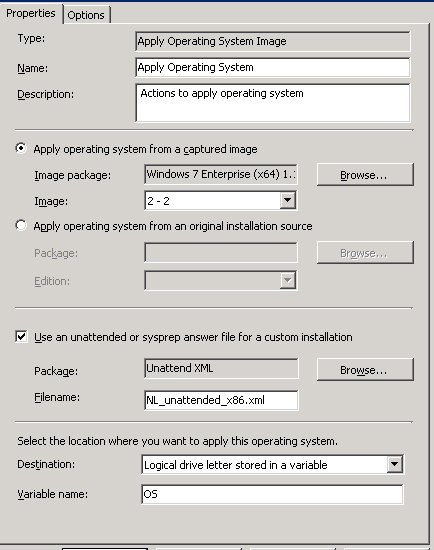 Manage-bde -protectors -enable driveletter : Can be used to enable bitlocker again. 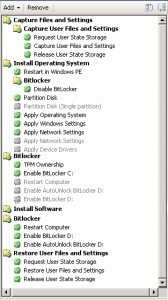 Do you need to add the unlock command before the autounlock? 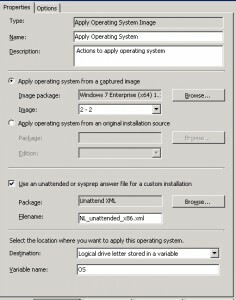 Yes you need to, before you can auto unlock a drive it needs te be unlocked first.